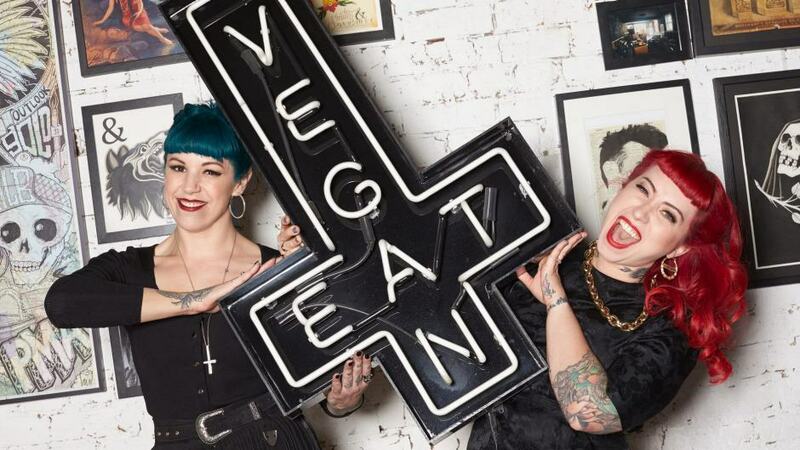 You might think that chef Shannon Martinez and logistics whizz Mo Wyse run their two vegan businesses for vegans. They don’t. “We are here for the guy who walks in and tells us he’s going to stop at Macca’s on the way home,” says Martinez. That makes it all the sweeter when the confirmed meat-eater sidles up at the end of the evening. “If I could eat like this every day, I’d turn vegan myself,” he inevitably says. 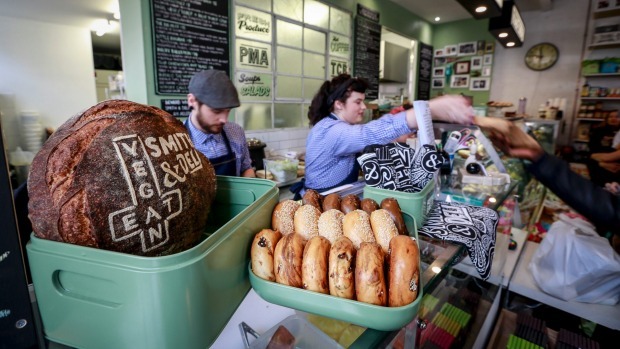 “We get at least one of those a night,” says Wyse, who oversees marketing and management for their Fitzroy restaurant Smith & Daughters, and the spin-off takeaway business Smith & Deli. Both businesses have been a runaway success. 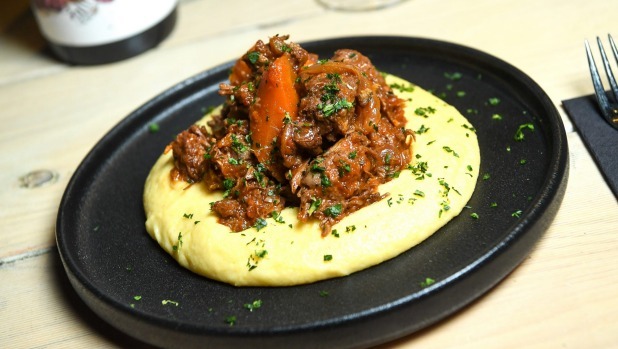 The four-year-old restaurant recently shifted from a Latin menu to Italian and demand upped from hot to molten. Dinner prep starts at 8am, they turn tables three times a night, and the closet-sized coolroom is completely emptied every single day. People are there for the bolognese, the schnitzel and the meatballs, all of which are meat-free. They’re also there for the raucous rock ‘n’ roll vibe. The Deli opened three years ago to ease pressure on the restaurant and instantly became a maelstrom in its own right. It’s known as much for chatty, tail-wagging queues around the block as it is for vegan croissants, oat milk lattes, and “facon” sandwiches. Where the restaurant is rollicking and speedy, the deli is retro and lovably kitschy, albeit with more tattoos than the 1950s ever had. Everything – the cheese, the ham, the curried egg, the Iced VoVo – is plant-based. For Wyse (a vegan) and Martinez (not a vegan), the mission is to serve great food first and vegan food next and in so doing to open up true hospitality to a group that’s often marginalised. The chef called time on vegan fob-offs: spaghetti napoli minus the parmesan, the dreaded vegetable stack and other tired standbys. “As much as a stuffed capsicum or a lentil curry can be delicious, I refuse to do them because they are the cliched epitome of a vegan meal,” she says. Instead, vegan cooking has been a creative spur. Martinez has perfected an aioli thickened with silken tofu, spicy chorizo made with textured vegetable protein, even smoked salmon crafted from watermelon. “I compress the watermelon and slow-roast it to take out all the liquid, slice it like sashimi, then marinate it with kombu and smoke,” she says. They connected, Wyse realised Martinez was also the maker of that much-loved parma and swiftly roped her in for the market. The vegan food truck went gangbusters. “Everyone else’s stalls were quite quiet and mine was insane, with a constant line of 30 or 40 people,” says Martinez. The pair started looked for opportunities to collaborate, throwing around restaurant ideas while Wyse continued with her focus on events, including as a producer on Ellen Degeneres’ tour down under in 2013. She quit a job at Channel Seven producing Million Dollar Minute when they found the Brunswick Street site that became Smith & Daughters. Martinez and Wyse have just released their second cookbook. Smith & Deli-cious is a compendium of daily recipes and comfort food from the Deli, and follows their first Smith & Daughters cookbook, released in 2016 and north of 40,000 in sales. This story first appeared in Fairfax Good Food, 24 September, 2018.